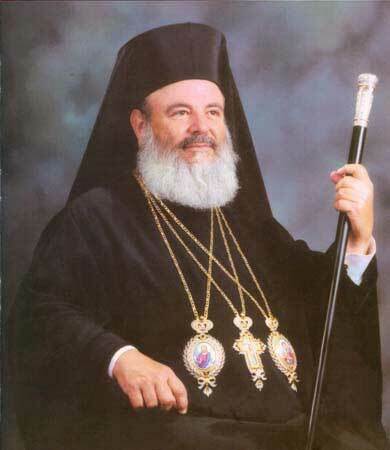 The Archbishop of Greece Christodoulos (17 January, 1939 - 28 January, 2008) was born in Xanthi where he got the name Christos Paraskevaides. 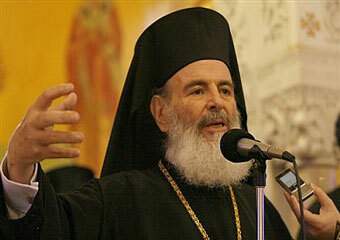 He went to Leontios School in Patissia, in 1962 he received his degree in law and in 1967 his degree in theology. He was a doctor of theology and he spoke fluent English, French, Italian and German. He was consecrated deacon in 1961 and presbyter in 1965. For 9 years he was a preacher in the church of Virgin Mary in Palaio Faliro and he was also the secretary and head-secretary of the Holy Synod during the time that Ieronymos and Serafeim were Archbishops. 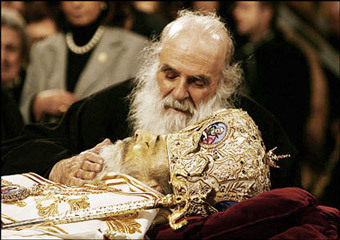 In 1974 he was chosen to become the eparch of Demetriada and Almyros. He participated in many church missions abroad, wrote an abundance of ecclesiastic and moral articles many of which were published in the ecclesiastic press and other newspapers. He became an Archbishop in 1998. In the summer of 2007 the Archbishop got seriously ill and was transferred to the United States where he underwent a serious operation for many hours in October 8th. Although a liver transplant was scheduled the things didn't go as planned since his cancer had a serious metastasis. A few weeks later he came back to Greece where he continued his treatment. He also suffered from liver cirrhosis and hepatitis. 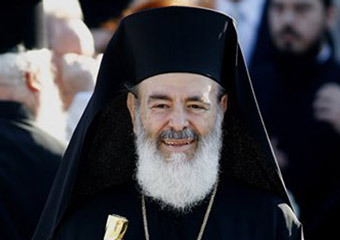 The prime minister Kostas Karamanlis along with several Eparchs visited the Archbishop in November 16th, one day after his tomography and a slight deterioration of his health. During the last stages of his illness he refused any kind of treatment and transfer to the hospital. In January 28th 2008 he died at the age of 69 in his house as he had requested. The Ministration Foundation, a service concerning drugs with a prevention center and other important activities. The Youth Office with summer camps, sports activities, radio emissions, student gatherings, schools of Byzantine music and more. Since the year 2000 "Allilegii", meaning togetherness, a non-governmental organization operates under the supervision of the church of Greece. Some of the countries which have been helped by this organization with food, clothes, medicines, technological equipment, books and other things were: Ethiopia, Albania, Armenia, Afghanistan, Bulgaria, Georgia, Erythraea, Zimbabwe, Jordan, India, Iraq, Kazakhstan, Lebanon, Montenegro, Beslan, southeast Asia, south Africa, Uzbekistan, Ukraine, Pakistan, Palestine, Poland, Romania, Serbia, Syria, Turkey, Czech Republic. The financial aid for families having three children was granted to the area of Thrace since 1999 till now with positive results in the birth of more children.